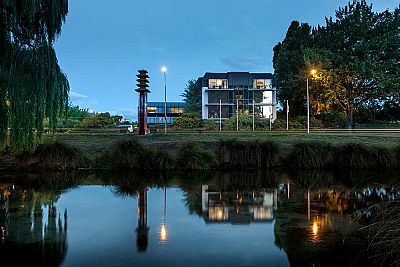 Our expert travel agents have gathered together this list of their favorite hotels and resorts in New Zealand. Read what they have to say about why they like each particular resort, and what kinds of travelers each is great for. "There may be more sophisticated resorts in Queenstown, but I LOVE staying at the St. Moritz. We book the same suite each time - the 1 bedroom Alpine Suite Lakeview! It offers one of the most gorgeous views of Lake Wakatipu from one side and The Remarkables mountains on the other. Ideally located in the heart of the town, it is an easy stroll to dining, fun and shopping. Do NOT overlook this wonderful little gem on the hill." 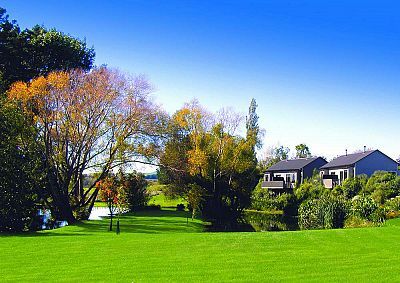 "Of my eight trips to New Zealand, we have found ourselves at the Sophisticated and Elegant Martinborough Hotel on more than one occasion. Lower North Island location, smack dab in Wine Country! A stay here will have you smile with an ease each time you remember time well spent." "The George - where you will find "George" the Teddy Bear gracing your pillow! A few sweet touch to a fine Boutique-ish hotel overlooking Hagley Park in Christchurch. You will expect, and receive personal service, attention to detail, great on site restaurants and well done amenities (many complimentary). Wonderful jumping off location to explore the area."